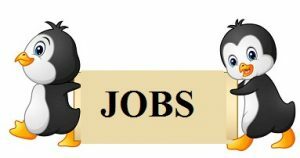 Higher Officials of the Maharashtra State Road Development Corporation had invited the applications under the MSRDC Recruitment 2018 for the 20 Executive Engineer, Deputy Engineer Vacancies. Also, all the candidates should apply for the recruitment online from the official site @ msrdc.org. Interested candidates must submit the Online Application Forms on or before the last date, i.e., 27th August 2018. From this article, petitioners can get all the essential stuff relevant to the महाराष्ट्र राज्य मार्ग विकास महामंडळ Job Openings 2018, important dates, the Eligibility Criteria, MSRDC Application Fee, Application Form with the Selection Procedure and even the post-wise vacancies. Elsemore, the pay scale under the MSRDC Jobs 2018 with the applying procedure. Furthermore, you can also note down the precise process to apply for the MSRDC Recruitment 2018. At the end of this page, we have even specified the direct link to download the Official Advertisement PDF link. Contenders who wish to apply for the MSRDC Recruitment 2018 should note the application fee in detail. For the General or UR applicants, the Application Fee will be INR 524 and for the SC or ST candidates, they should pay the fee as INR 324 through online mode using Debit Cards (RuPay/ Master Card/ Visa/ Maestro), Credit Cards, Internet Banking, IMPS, Cash Cards/ Mobile Wallets. Moreover, candidates should pay the fee online. Candidates will have the Selection Procedure as the Written Test and Personal Interview. So, all the candidates have to be prepared for the process. For applying to the MSRDC Recruitment 2018, every candidate has to follow some guidelines. So, we here arranged you with the complete path to help you at the time. Contenders must go to the official site of the Maharastra State Road Development Corporation @ msrdc.ogd. Now, scroll down the home page and navigate to the “NEWS” section which is available at the right down of the page. Up next, a new window with a PDF is opened. Now you can click on the first link that refers to the official notification. Read carefully, and then you need to go back and hit the second link that refers to the apply online. Enter all the details and then submit the page. Next, you should pay the fee. Finally, download it and take the printed copy with you. Hope all the candidates will apply to the MSRDC Recruitment 2018 after referring to this page. Thus, for the latest information contestants can visit our Sarkari Recruitment website regularly.